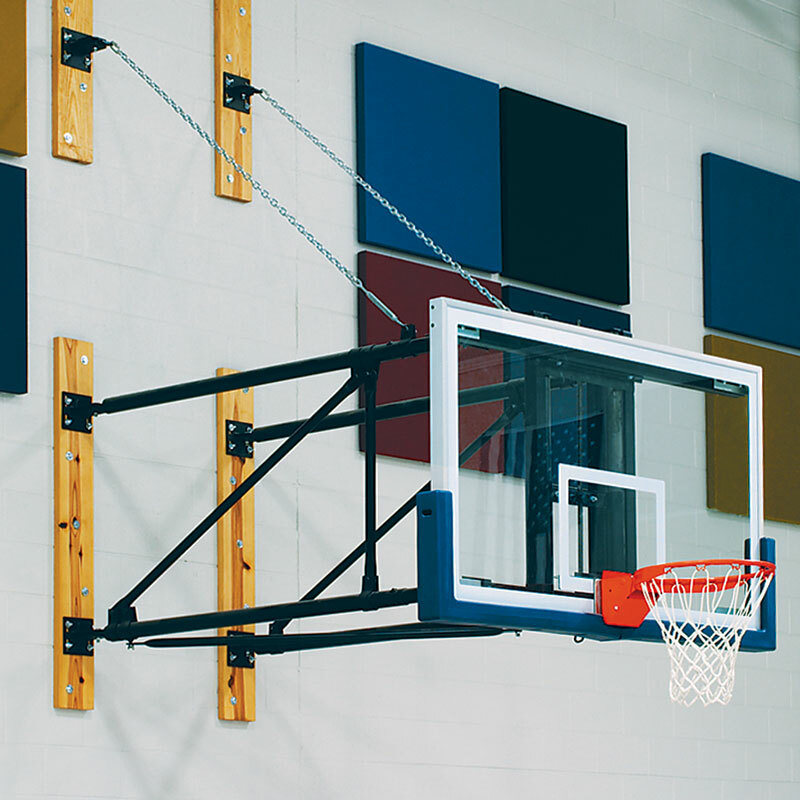 Wall Mounted Side-Folding Basketball Backstop - DGW :: Draper, Inc. 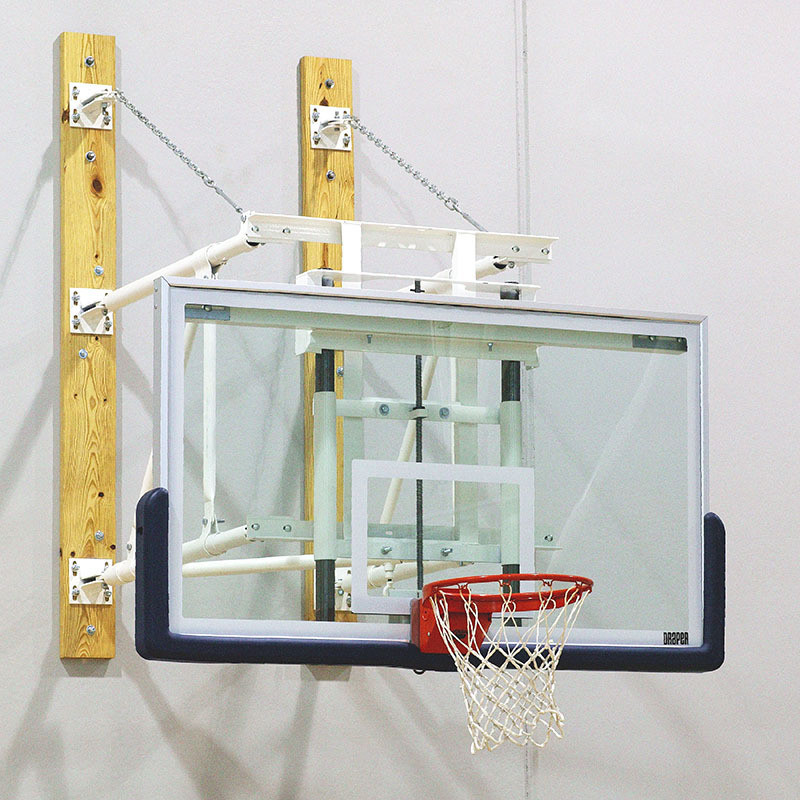 The small vertical space required for this backstop makes the DGW Wall-Mounted, Side-Folding Basketball Backstop great for multi-functional facilities. It stores nearly flat against a side wall when not in use. The DGW provides a competition grade backstop, yet requires little storage space when not in use. The telescopic diagonal brace provides a locking device for play or stored positions using a threaded locking pin. 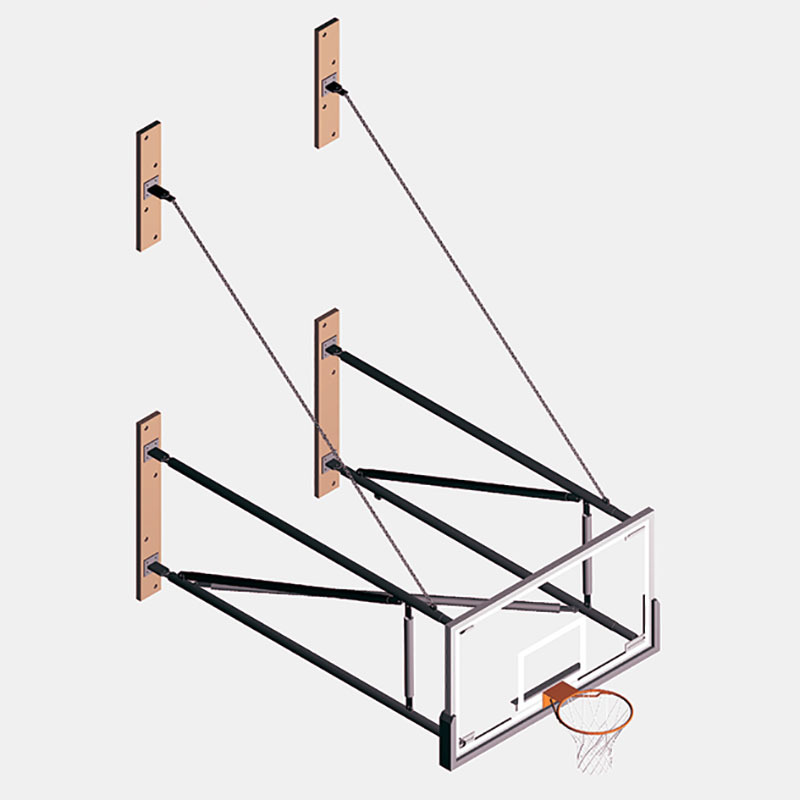 Features a steel tubing framing system unit that is supported by two welded-link chains when in play position. Frames have black or white powder coat finish; other color options available. Specify whether unit is to fold to the right or left side when placing order.